Created in 60 hours during East Tennessee State University's DIGMarathon presented by EDGE Club. In this music-based platformer, you are a lonely water droplet lost in the desert. 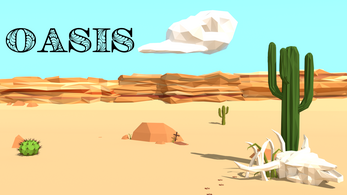 Make your way down the mountain to restore life to the Oasis before you dry up! Collecting water droplets will add to your time, but watch out for thirsty cacti! A and D to move.